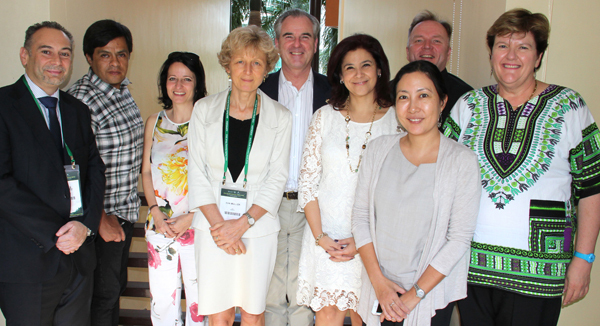 Membership of the Regional Forest Communicators Networks has risen by 50 percent over the last year, the Global Group on Forest Communication reported at its annual global coordination meeting held on the sidelines of Asia-Pacific Forestry Week in February. The regional networks (Africa, Asia-Pacific, Europe, Latin America and the Caribbean, and Mediterranean and the Near East) now have more than 440 members thanks to outreach at high profile events such as the World Forestry Congress. Networks have worked collaboratively to push for improved communications within the forestry sector and promoted the many benefits that come from joining a regional network. The Global Group underlined significant network success over the past year, such as key contributions to important regional events like the Mediterranean Forest Week, Asia-Pacific Forestry Week, and the acclaimed communications sessions at the XIV World Forestry Congress in Durban, South Africa. The specially designed and highly participatory communications sessions at these events have been popular with both communications professionals and their policy counterparts. Planning has started for new events to celebrate the International Day of Forests 2016, and to make a mark at FAO’s Committee on Forestry in July.